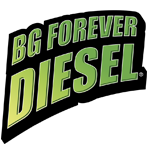 BG Forever Diesel® | BG Products, Inc.
A lifetime of security for diesel owners! If you get a BG Diesel Engine Performance Service, repair of the lubricated parts in your engine and fuel system will automatically be covered for up to $6,000! To maintain protection, stick to the service schedule listed below. The BG Diesel Engine Service covers diesel engines. The BG Diesel Engine Plus Service covers diesel engines. The BG Diesel Engine Performance Service covers diesel engines and fuel systems. The BG Diesel Engine Restoration Service covers diesel engines and fuel systems. Service interval: This is an entry service and must be performed at the first service interval. After 10,000 miles (16,000 km), continue coverage with a BG diesel engine service. To maintain coverage, consumers must simply return to the BG shop for another premium BG service within the specified mileage interval. Ask your service advisor about the added benefits of using BG oil! *BG Forever Diesel® covers only components serviced by BG products. Click here for complete details.